2310 Pico Blvd. 9:30 p.m.
1440 N. Topanga Canyon Blvd. With Veruca Salt, 3 p.m.
6126 Hollywood Blvd. With Aqualung, 8:00 p.m. Doors: 8 p.m., On Stage: 10 p.m.
225 Decatur Also Pete Yorn, Moses Mayfield, 7:00 p.m.
500 23rd South St Also Pete Yorn, Moses Mayfield, 8:30 p.m.
405 12th Ave S Also Pete Yorn, Moses Mayfield, 7:00 p.m.
1423 S Tryon Also Pete Yorn, Moses Mayfield, 8:00 p.m.
1423 S Tryon Also Pete Yorn, Moses Mayfield, 7:00 p.m.
1374 W Peachtree St Also Pete Yorn, Moses Mayfield, 9:00 p.m.
407 E Saratoga St Also Pete Yorn, Moses Mayfield, 7:30 p.m.
815 V St NW Also Pete Yorn, Moses Mayfield, 7:30 p.m.
15 Lansdowne St Also Pete Yorn, Moses Mayfield, 8:00 p.m.
111 Presidential Blvd Also Pete Yorn, Moses Mayfield, 8:30 p.m.
239 W 52nd St Also Pete Yorn, Moses Mayfield, 6:45 p.m.
Mar 13 07 Albany, NY The Egg Also Pete Yorn, Moses Mayfield, 8:30 p.m.
410 Sherbourne Also Pete Yorn, Moses Mayfield, 8:00 p.m.
133 Grandville SW Also Pete Yorn, Moses Mayfield, 8:00 p.m.
308 Euclid Ave Also Pete Yorn, Aqualung, 7:00 p.m.
405 Neil Ave Also Pete Yorn, Aqualung, 7:00 p.m.
730 Madison Ave Also Pete Yorn, Aqualung, 8:00 p.m.
2090 Atwood Ave Also Pete Yorn, Aqualung, 7:30 p.m.
4746 N Racine Also Pete Yorn, Aqualung, 8:00 p.m.
701 1st Ave N Also Pete Yorn, Aqualung, 8:00 p.m.
3720 E 82nd St Also Pete Yorn, Aqualung, 8:30 p.m.
6161 Delmar Also Pete Yorn, Aqualung, 8:00 p.m.
1020 Massachusetts St Also Pete Yorn, Aqualung, 8:00 p.m.
140 N 13th St Also Pete Yorn, Aqualung, 8:00 p.m.
935 E Colfax Also Pete Yorn, Aqualung, 8:30 p.m.
1612 High Ute Blvd Also Pete Yorn, Aqualung, 8:00 p.m.
730 N Mill Ave Also Pete Yorn, Aqualung, 6:30 p.m.
Special Guest Appearance by Pete Yorn on "Retrospect" and Joe Kennedy on "Desert After Rain" "Wide Open" and "Unstoppable"
Special Guest Appearance by Joe Kennedy on "Desert After Rain" "Wide Open" and "Unstoppable"
2310 Pico Blvd. 9 p.m.
6010 Pico Blvd. Also Peter Himmelman, 8 p.m.
1722 N. High St. With Pete Yorn, 7 p.m.
431 E. Congress With Pete Yorn, 6 p.m.
730 Madison With Pete Yorn, 7 p.m.
308 Euclid Ave. With Pete Yorn, 7 p.m.
133 Grandville SW With Pete Yorn, 7 p.m.
200 N. Harbor Dr. With Pete Yorn, 10 p.m.
88 N. 17th St. With Pete Yorn, 1 p.m.
532 S. Olive St. Free outdoor concert! Also Pete Yorn, 10 p.m.
2310 Pico Blvd. 10 p.m.
Doc Holiday's Hoe-Down with Minibar, The Snakehandlers, Shurman, Anne McCue, The Rave � Ups (reunion), Austin Hanks, Tonya Watts, Toothpick, Soda & His Million Piece Band. 2941 Main St. 9:30 p.m. Doors: 8 p.m., Show: 9 p.m. Doors: 7:30 p.m., Show: 8:30 p.m. Doors: 7 p.m., Show: 8 p.m.
City Stages Benefit, 9 p.m.
9081 Santa Monica Blvd. Also Old 97s, Grey Delisle, 8 p.m.
2955 Jamacha Rd. 9:00 p.m.
432 N. Fairfax Ave. Also Tom Brosseau, 9 p.m.
2200 2nd Ave. Trampoline Records Revue also featuring Jukebox Junkies, Nadine, Pete Yorn, with Rami Jaffee and friends. Special guest appearances by members of Nadine, Jukebox Junkies, Rami Jaffee, and Pete Yorn. Buy tickets, $20 General Adm.
Special guest appearance on drums by Pete Yorn for "Ever Fallen in Love?" and Luke Adams on guitar for "Somebody Down Here Loves You." Buy tickets, $18 General Adm.
4612 East 2nd St. In-store performance and signing, 7:00 p.m.
7021 Hollywood Blvd. Trampoline Records Revue (9:00 p.m.) also featuring Jukebox Junkies, Kip Boardman, Chris Stills, Waz, and many others. Sep 10 03 Los Angeles, CA KSCR 1560AM The Live Show, 2:00 p.m. Doors: 8:00 p.m., Show: 9:00 p.m.
Memorial Park (Walnut St. & Raymond Ave.) Free Outdoor Concert, 8:00 p.m.
Jul 30 03 Los Angeles, CA KTLA 5 Morning Show Interview and Performance, 8:40 a.m. Doors: 7:00 p.m., Show: 7:30 p.m. Doors: 7:00 p.m., Show: 9:00 p.m.
432 N. Fairfax Ave. Also Gus, 9 p.m.
432 N. Fairfax Ave. Also Greg Johnson, 9 p.m.
5205 E. Pacific Coast Hwy 11 p.m.
4500 Los Feliz Blvd. 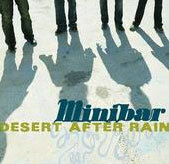 Also Gingersol, 10 p.m.
Each member of Minibar also played or sang backup for multiple artists on the bill. 432 N. Fairfax Ave. Headliner, 9 p.m.
KCRW Unsigned Indies, 5 p.m.
2121 6th St. Also Gingersol, 10 p.m.
340 E. 6th St. Also Gingersol, 9:30 p.m.
801 Red River Also Gingersol, Spacetruck, 10 p.m.
1111 S. Longmore Also Gingersol, 10 p.m.
4500 Los Feliz Blvd. Also Gary Jules and the Group Rules, Gingersol, 9 p.m.
Members of Minibar joined the line-ups for performances by Jukebox Junkies (Simon, Mal), Gingersol (Sid, Mal), Phil Cody (Sid), and Pete Yorn, and an all-star finale featuring various Trampoline artists. Doors: 8:30 p.m. Show: 9 p.m. Doors: 9 p.m. Show: 10 p.m.
Jun 21 02 San Luis Obispo, CA SLO Brewing Co.
Special guest Rami Jaffee played accordion "Road Movies". Jukebox Junkies line-up featured Tim on pedal steel and Malcolm on drums, percussion, and background vocals. Minibar, Jukebox Junkies, Rami Jaffee, and Ben Peeler joined Pete Yorn's encore performance of The Beatles "Rain". Jukebox Junkies line-up featured Tim on pedal steel and Malcolm on drums, percussion, and background vocals. Minibar and Jukebox Junkies joined Pete Yorn's encore performance of The Beatles "Rain". Simon and Sid, 11 a.m. - 12 p.m. Doors: 8 p.m. Show: 9 p.m.
Also Gingersol, I See Hawks in L.A.
Show: 9 p.m. Doors: 8 p.m.
Show: 9 p.m. Doors 8 p.m.
9081 Santa Monica Blvd. Opener for Shurman (CD Release Party) Show: 9 p.m. Doors: 8 p.m.
575 S. Fairfax Ave. 10:30 p.m.
Show: 9 p.m. Doors: 8 p.m., also Matt Ward. $15 General Adm.
Show: 8 p.m. Doors: 7 p.m.
Simon joined Jill Sobule for Bowie's "All The Young Dudes"
Apr 23 01 Los Angeles, CA Silverlake Lounge Also Handsome Family, I See Hawks in L.A. 9:30 p.m.
6010 Pico Blvd. Headliner, 10 p.m.
432 N. Fairfax Ave. Headliner, 10 p.m.
Apr 11 01 Los Angeles, CA KCRW 89.9 In-studio interview/performance Morning Becomes Eclectic with Nic Harcourt, 11 a.m.